When biographer Susan Hertog went in search of information about Anne Morrow Lindbergh, author of 13 books including the 1955 bestseller A Gift From the Sea, she found 15 biographies of Lindbergh's husband, Charles, but not one of Anne. In 1966, when Susan Hertog stumbled across a book titled The Gift From the Sea, she had no idea it would change her life. It was written by Anne Morrow Lindbergh. At the time, Hertog said, "I knew absolutely nothing about her. I probably could have told you her husband flew the Atlantic, but after that I had no idea who she was or what kind of life they led." Hertog had graduated from college the year before and just given birth to her first child. "Here I was, 21 years old, terribly ambitious, I had this baby, and I had no idea how to put my life together." The Gift From the Sea, which had been a runaway bestseller when it came out 10 years earlier in 1955, spoke to her. "I just felt as though it were written for me," Hertog said. "She told me to hang on to my ambition, to take my own needs seriously, to cultivate a time and a place for my interests and for my craft and profession. And yet-and I think this is what distinguished her for me from other feminists-she said it wasn't enough just to nurture your own needs, that a woman must cultivate a core of strength through which she could sustain herself, but also operate within the context of a family and marriage and not sacrifice either. "I went to the library and wanted to learn more about her," Hertog said. "What I found was 15 biographies of Charles and none of Anne." This discovery launched an investigation that lasted years. Hertog hunted down every source she could find on Anne Lindbergh. It took a long time, Hertog explains, because she was raising three children as well as doing freelance work. The public facts of Lindbergh's life were these: she was the 23-year-old daughter of the U.S. ambassador to Mexico when she won the heart of the era's most famous man as well as one of its most eligible bachelors. She became his wife and flew 50,000 miles around the world as his co-pilot and radio operator. Her child was kidnapped and murdered, and the subsequent investigation and court case were broadcast throughout the world. At the same time she developed into a writer, creating poetry, novels, essays and diaries. Hertog wanted to understand the woman's inner life. Once her last child was out of the house, Hertog began writing letters to Anne Lindbergh. "As probably a million other people did," she said. Through a fortuitous connection (her father knew the best man at the Lindbergh's wedding) Hertog was able to meet Anne Lindbergh's friends, then some of her children and grandchildren. "And finally they just turned to mamma and grandmamma and said why don't you meet Susan," Hertog recounted. "And she did, and by the time we met I had read so much about her and about her life that we made an easy connection." Anne Lindbergh invited Hertog to visit her on 10 occasions from 1986 to 1989. Hertog said, "As far as I know, no one had ever had this kind of access to her before." And because Lindbergh suffered a stroke shortly afterward, no one will be able to interview her in the same way again. The biography that Hertog wrote has a different purpose from the recent A. Scott Berg biography of Charles Lindbergh commissioned by the Lindbergh family. Hertog says hers was to "focus on Anne, get inside her mind through her own words, diaries and my interviews with her, to get inside their marriage and try to strip away the glitter of the heroic image, of their public persona." She discovered a shy, sensitive person who, by falling in love with a world-famous man, was suddenly exposed to the most intense media scrutiny. 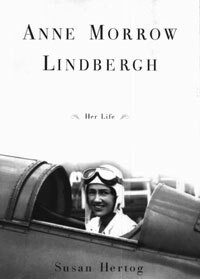 "I think, that in her way, although she never could acknowledge this, Anne Lindbergh was tremendously heroic," Hertog explained. To survive a 45-year-long marriage to a very difficult, controlling, public personality, to live through the kidnapping, through political controversy, and to constantly outrun the press, Hertog said, "Anne had to force herself to keep her own sanity by writing day after day in her diary, in her books, in her poetry, in her essays to try to make sense of that, and she never stopped. "She also wanted, more than anything, to deduce lessons that would work for other women. Because of her sense of public service and her fundamentalist, Presbyterian upbringing, she for a long time feared that a writer's life was self-indulgent, that it was sinful, because it removed the writer from family, society and public service. And the way she rationalized her work and her purpose as a writer is that she wanted her experience to mean something to other people, and this was her vehicle." Hertog believes that The Gift From the Sea, written by Lindbergh at the age of 50, has sustained its value. "She understood, almost prophesied what would happen to women as they joined the marketplace. She knew that their roles were about to change and worried that the values they represented-the nurturing, compassionate, process-oriented environment of the home-would be undermined by the fast-paced, bottom-line mentality of the marketplace. And she was right-more now, I think, than she was 50 years ago." Hertog wrote the first 110 pages of the 561-page biography as her thesis to earn her MFA in Writing at Columbia's School of the Arts. 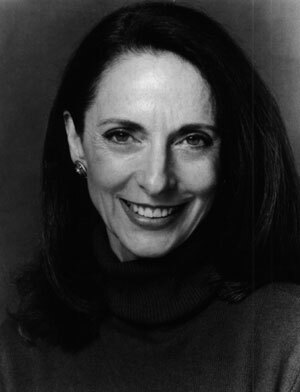 When she entered the graduate writing program in 1991, it came at a crucial moment in her process of becoming a writer. "I'd never written a book before. I had done five years' worth of research. I had tons and tons of material stuffed in my drawers at home and I had no idea how to write a book," Hertog said. "When I came to Columbia, immediately I had mentors, advisors, tutors, a community of other writers and the inexplicable feeling that this was something that other people had done before and I could do as well. So there was this immediate sense of community, of role models, and of confidence." Hertog feels a great loyalty to the school as well as appreciation for the support she received and craft she learned there. Her only criticism was that the writing program did not at the time teach research techniques, as did the Graduate School of Arts and Sciences. "I felt that the ability to seek, acquire, organize, synthesize and integrate knowledge was at the crux of what it meant to be a writer and that it should be part of the program." As a way of giving back and helping other writers, Hertog initiated a program that she currently funds together with her husband, Roger. It includes a seminar in research methods, required of all nonfiction students, and support for 12 fellows, who spend 10 hours a week working as research assistants to established writers, including Ron Chernow, Neal Gabler, Ada Louise Huxtable, Erica Jong, Geoffrey O'Brien, and Francine Prose. The graduate students receive mentoring, creative consultations on their own work, and an understanding of the process of the writer's life. "The mentor gets the opportunity to bring another writer along, to educate and teach him/her the tools of the trade-and gets free assistance," Hertog said. Richard Locke, chair of the Writing Division in the School of the Arts, said, "The Hertog Research Fellowship program is a genuine curricular innovation that takes full advantage of the resources of Columbia and of New York City. It has been enthusiastically embraced both by the literary community and by our graduate students. It's an example of how one writer, Susan Hertog, can see a need, conceive a solution, and have the generosity to contribute to the development of young writers."